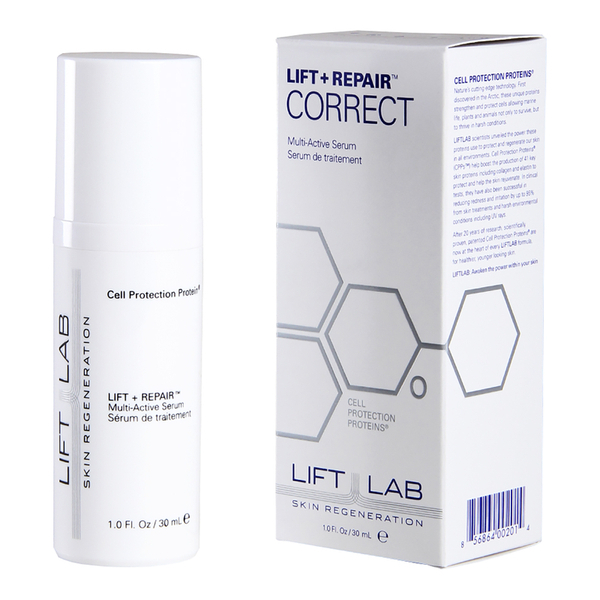 LIFT + REPAIR™ Correct is formulated with the strength of CPP™ plus six additional proteins and peptides. This transformative Multi-Active Serum helps to reduce the appearance of fine lines, deep wrinkles, sun damage, and uneven skin tone. 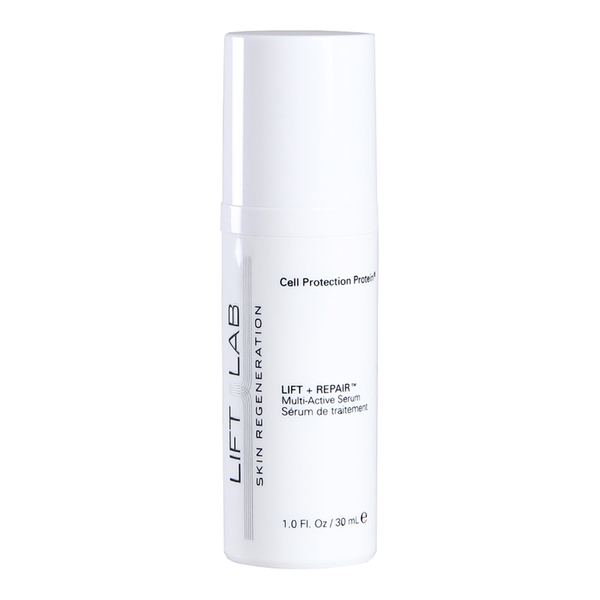 While promoting skin regeneration it also provides immediate hydration and, with regular use, aids in long-term skin repair at the cellular level. 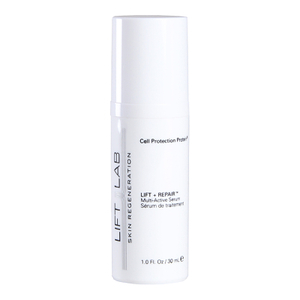 Along with Cell Protection Proteins®, active ingredients include: Easyliance®, a botanical to firm and strengthen skin layers; Kolleran®, to rebuild skin's own collagen and elastin, plus Vitamins E, B5 and B3 to help protect from UV damage and even skin tone. Best suited for dry or combination skin types. Promotes even skin tone and addresses sun damage.